Comment: I would like to get an estimate for I have a client who in moving to Georgetown, SC. They will be arriving on April 16th. They raise show dogs. They need the perimeter of their property fenced in with climb proof horse fencing at 4 ft high. Our estimate is approximately 1100 feet. It will also need a gate for the driveway. Additionally, we will be needing a dog run installed constructed of chain link fence at 6 feet high. I am unsure about the dimensions and exact location as of now. Comment: I have a client who in moving to Georgetown, SC. They will be arriving on April 16th. They raise show dogs. They need the perimeter of their property fenced in with climb proof horse fencing at 4 ft high. Our estimate is approximately 1100 feet. It will also need a gate for the driveway. Additionally, we will be needing a dog run installed constructed of chain link fence at 6 feet high. I am unsure about the dimensions and exact location as of now. Comment: BORDER FENCING EMPTY LOT. Georgetown Fence Contractors are rated 4.85 out of 5 based on 78 reviews of 9 pros. 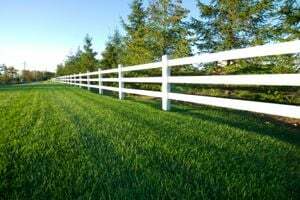 Not Looking for Fences Contractors in Georgetown, SC?